its statue was removed and destroyed at the Reformation. The history of the Shrine and the Church can be read here. at the RC Westminster Cathedral. a contemporary film of the event can be seen here. 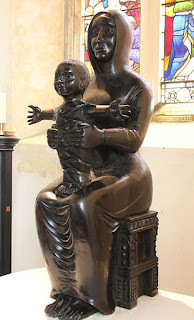 Devotion to Our Lady has been maintained in the West Grinstead area since recusant times and when Catholics were once again allowed to worship freely, a church was joyfully built here to replace the secret chapel used within the priest's house. 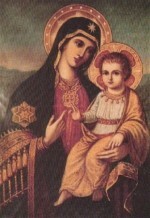 It was decided to dedicate it to Our Lady of Consolation, affiliated to the shrine of the same title in Turin, Italy, and a painting modeled on the one in Turin was commissioned. Our Lady of Consolation can be found here. 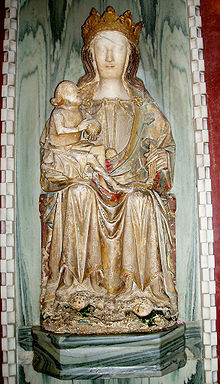 The shrine of Our Lady of Pew is at Westminster Abbey in London. The lovely modern alabaster statue was sculpted by Sister Concordia (of the Minster Abbey on the Isle of Wight) to replace the one lost at the Reformation. 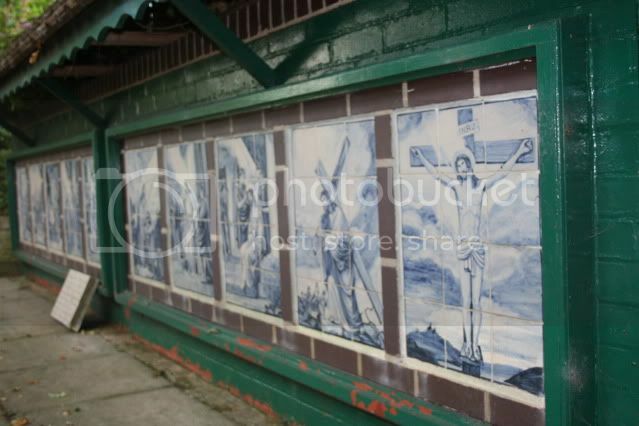 There is a great deal of fascinating historical information about the shrine here. Apparently there is a society of Our Lady of Pew, but all internet searches have so far proved fruitless. 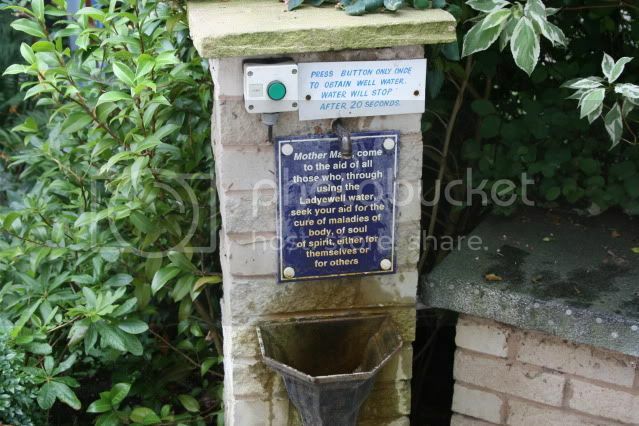 The mediaeval shrine of Our Lady of Glastonbury, like so many others, was destroyed at the Reformation, but at the RC church of Our Lady St Mary of Glastonbury, opposite the Abbey, a new shrine has been set up as a focus of pilgrimage. 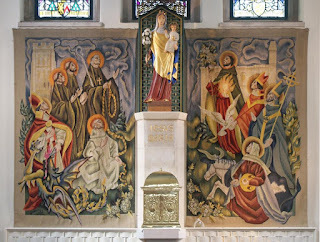 .....and in the church, surrounded by saints and martyrs. information about the parish church can be found here. 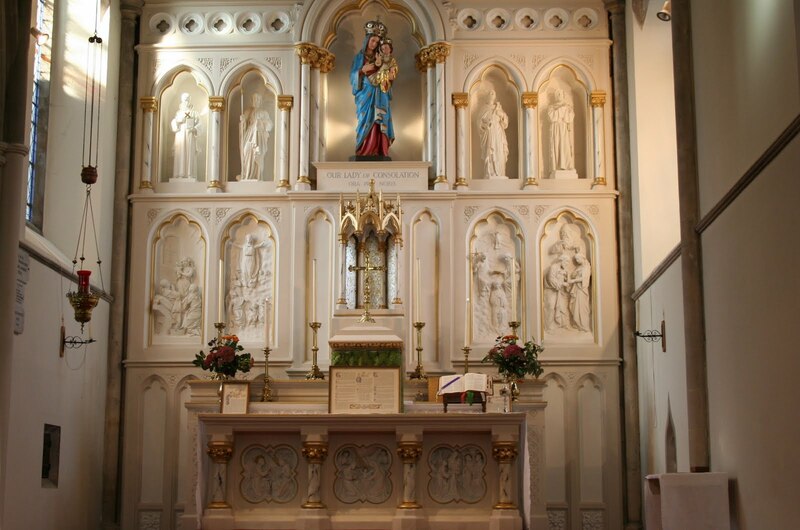 Pilgrims have visited the Shrine of Our Lady of Fernyhalgh (Ladyewell), Preston, Lancashire, for over 700 years. 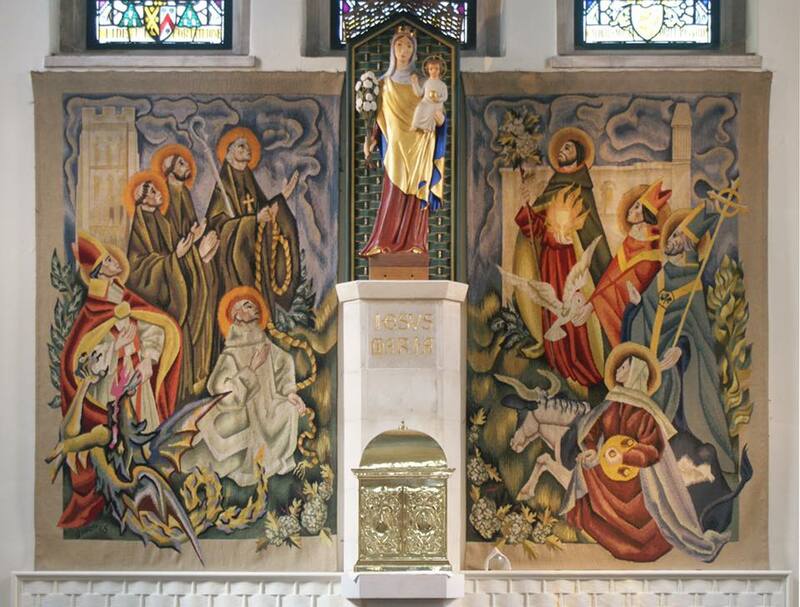 It is also now known as a Shrine of the English Martyrs who died for their RC faith in penal times. 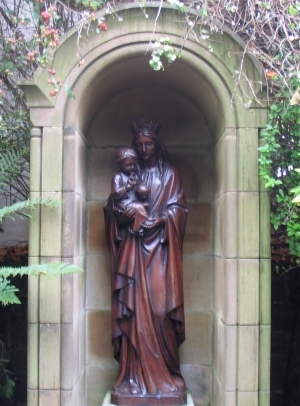 Only four miles from Preston itself, Our Lady's shrine and well, based at Ladyewell House and very close to the RC Church of St Mary, is a quiet and tranquil place, visited regularly by Orthodox, Roman Catholic and Anglican pilgrims alike. The Shrine's web page is here. Further photos are available here. Our Lady's Month of May, 2016. Our Lady of Penrhys. 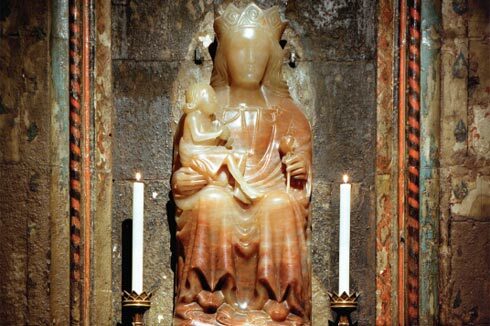 I do love the dedication of the month of May to Our Blessed Lady and I have very fond memories of it from my Anglo-Catholic days. Last year I followed the scheme of flowers and virtues described by Fr Lasance; this year I intend to look at some of the shrines or pilgrimage statues/icons of Our Lady. I will start with one close to home, the mediaeval pilgrimage shrine of Our Lady of Penrhys, destroyed in 1538 at the Reformation. Penrhys is a small village in South Wales, situated on a slope overlooking the twin valleys of Rhondda Fawr and Rhondda Fach. The famed pilgrimage statue was found embedded in an oak tree and resisted all efforts to remove it until a small chapel was built nearby, when the statue was finally able to be lifted up. The original shrine was very thoroughly destroyed but in 1953 a new statue made of Portland stone was made and placed on the site. Pilgrimages (including ecumenical ones) continue to be made as well as a steady stream of individual pilgrim visitors. Farewell to every ailment that desires them! That can kill pain and fatigue!" 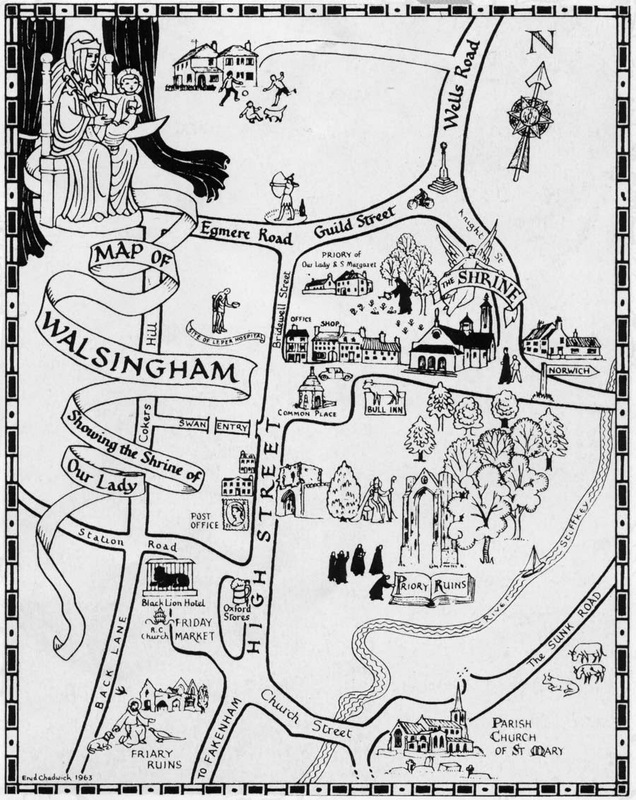 I`m a middle-aged Christian with a great love of the mediaeval pilgrimage sites of the Mother of God at Walsingham in England and Penrhys in Wales. I am married, and have four delightful daughters whose ages range from adult (and married) to 14. Having worked miracles in thy youth, founded monasteries and converted the pagans who had sought to destroy thee, O Father David, Christ our God blessed thee to receive the episcopate at the place of His Resurrection. Intercede for us, that our lives may be blessed and our souls may be saved.